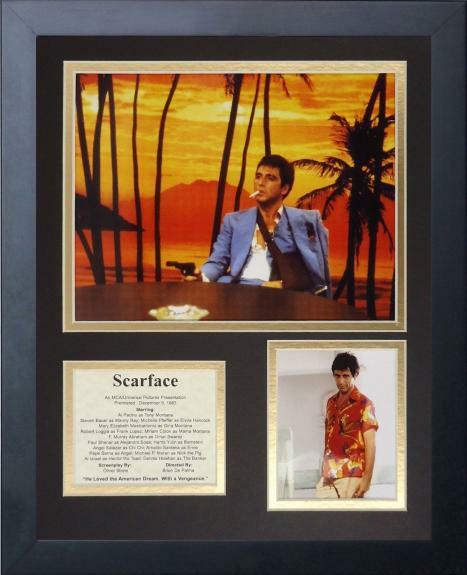 11x14 FRAMED SCARFACE AL PACINO CAST LIST TONY MONTANA GUN SHOT 8X10 PHOTO #1. All signed items come fully certified with a certificate of authenticity from an approved SportsMemorabilia.com vendor and are backed by the SportsMemorabilia.com authenticity guarantee. Unsigned items do not require certification.